lightharmony One very cold morning near Cechanky and Detvianska Huta provided for unbelievable performance full of light and frost. Though it was difficult to compose a meaningful design, I could not miss a chance to capture the first sun rays greeting the mist in a little valley. By noon, all frost was gone for good and the next morning was a big disappointment. 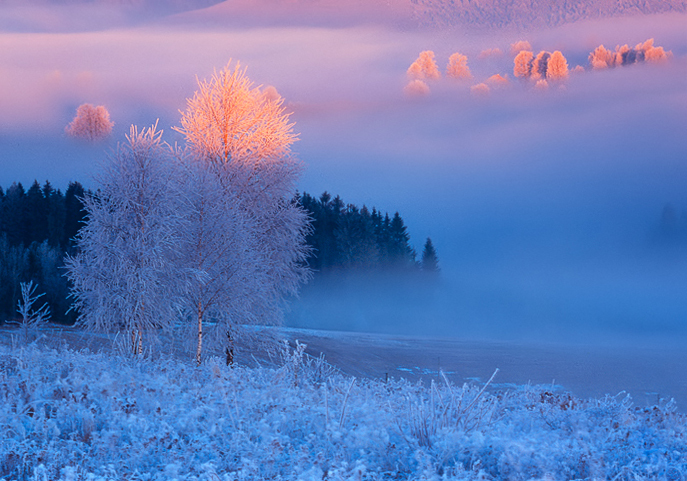 One very cold morning near Cechanky and Detvianska Huta provided for unbelievable performance full of light and frost. Though it was difficult to compose a meaningful design, I could not miss a chance to capture the first sun rays greeting the mist in a little valley. By noon, all frost was gone for good and the next morning was a big disappointment.